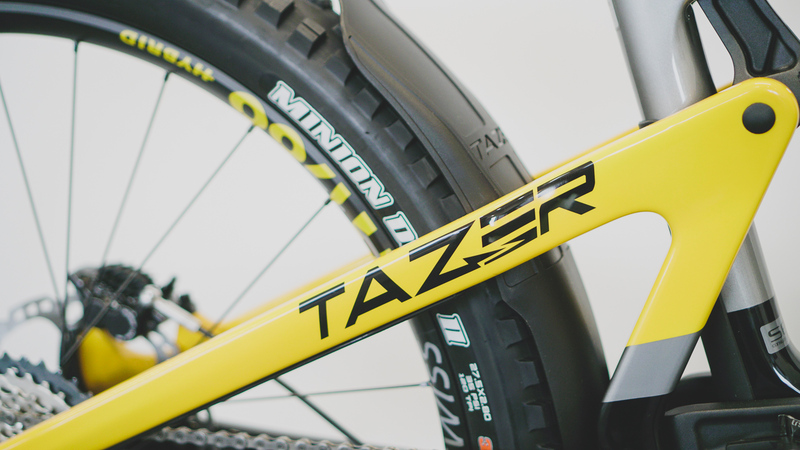 Have you seen the new Intense Tazer eBike? 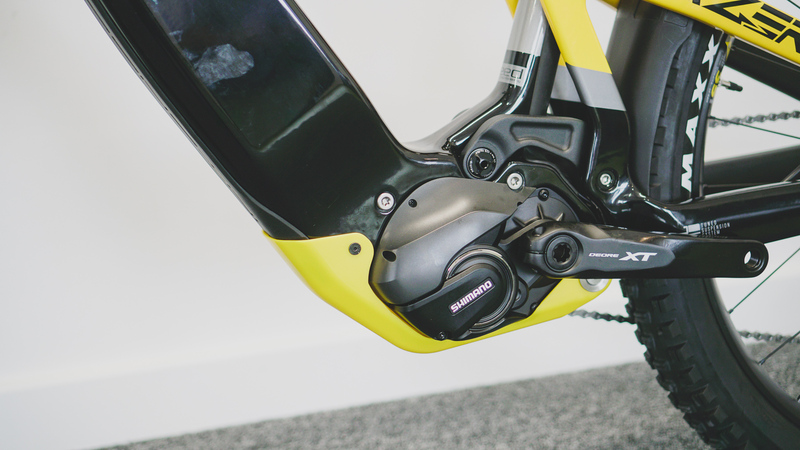 A recent visit to Saddleback UK (the guys behind Intense UK) meant a surprise look at the new, as yet to be launched Intense Tazer eMTB. 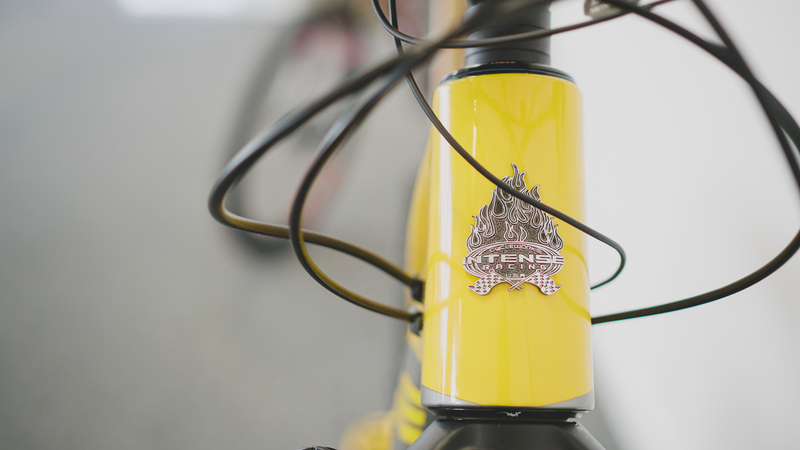 We don’t have loads of info on the bike but here’s everything we know about it right now. The Intense Tazer ebike has been floating around online for a little while and an early prototype appeared online back in June 2016 on Jeff Steber’s Insta. It’s also made an appearance on a few other websites despite the press emabrgo to keep it schtum till today (cheers for that guys!). Jeff and crew have been quietly beavering away behind the scenes and what you see here is a final prototype, ready to be put into production. The bike will be launched to the public before Christmas this year and then you’ll be able to buy one in the new year. 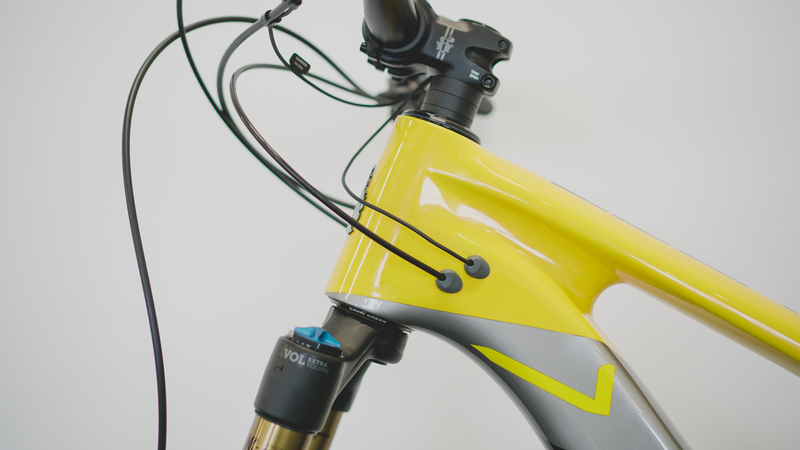 The frame is full carbon with a very neat-and-tidy integrated seat clamp and internal cable routing. 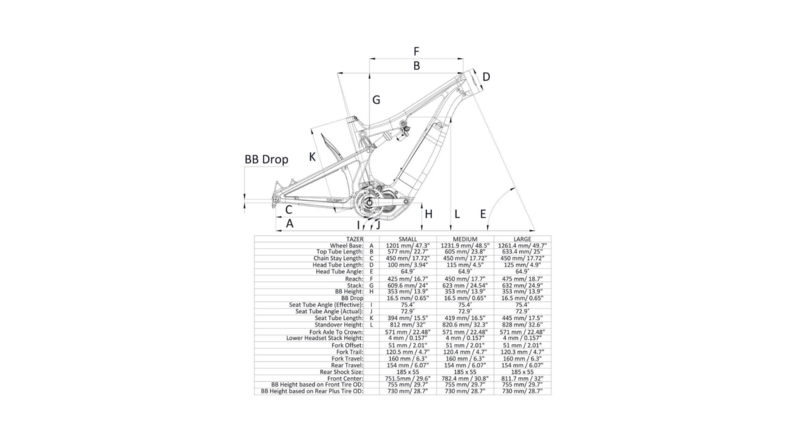 There’s room for a full size bottle on the top of the down tube and all the usual bits you’d expect like bolt through axles and rubber frame protectors. 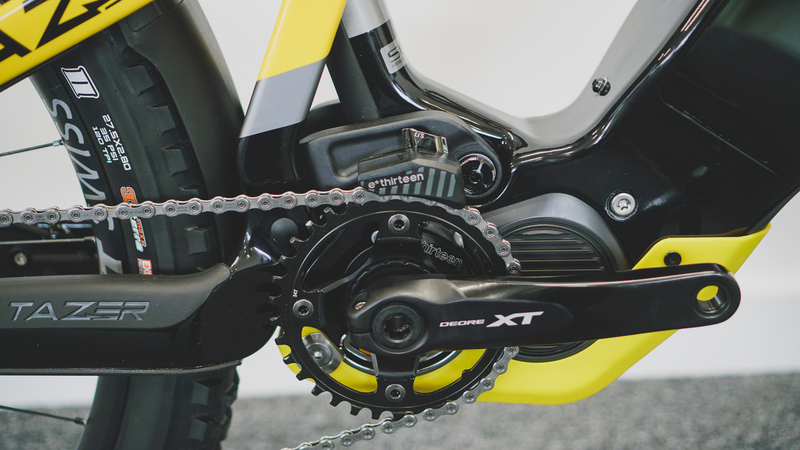 Rear travel on the Tazer eMTB is 150mm. Much like the Canyon SpectralON, the Intense use a mix of wheel sizes and tyres with a 29″ wheel and tyre up front and a 27+ wheel and tyre out back. 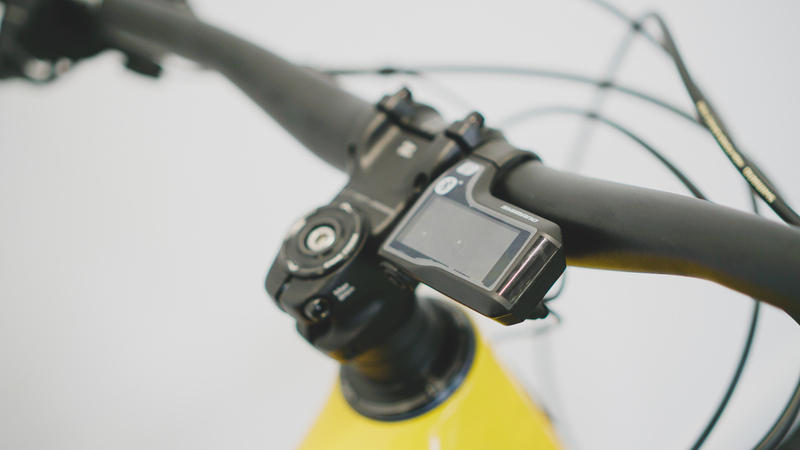 Pedal assistance comes from a Shimano Steps motor with the battery tucked away inside the downtube. There was no actual battery in the version we saw so we can’t say much about that. The bike’s build kit was pretty interesting and it came with a mix of Fox, Shimano and colour matched Fabric components. And if you want one, they’re available to buy at IntenseUK for £6899 here. A nice touch is that the first 6 riders to preorder will get a free setup and coaching day with +3 mountain bike coaching. They’ll get a day of suspension and cockpit setup, skills tips on the trails and even fitness and mobility advice from fitness coach to the stars Alan Milway. In terms of added extras, that’s not bad. Better than the usual stickers and a shock pump, right? And… so far, that’s all we’ve got. 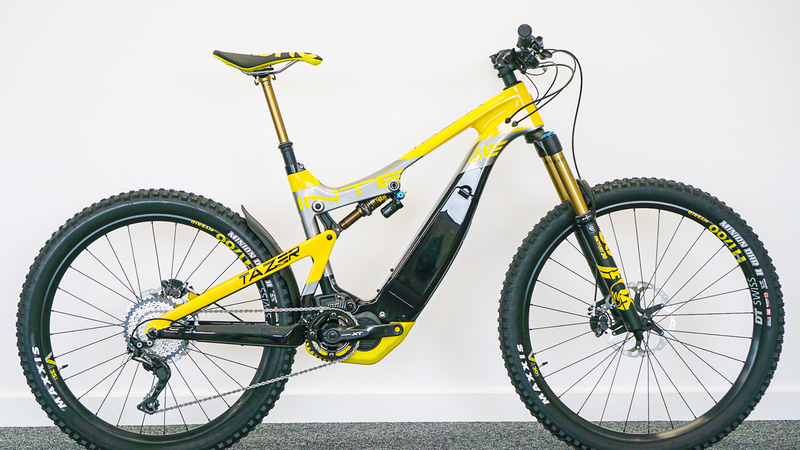 We’re hoping to get on board the new Intense Tazer eBike in the next couple of months and as soon as we do, we’ll let you know more. You can learn more about Intense in the UK here or visit the Intense homepage here.